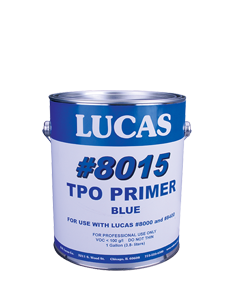 Solvent based primer for preparing TPO roof membranes for application of Lucas #8000 Silicone Coating and #4500 and #9600 Urethane Sealants. Available in blue color for coating application to gauge coverage. Available in clear for sealant applications.